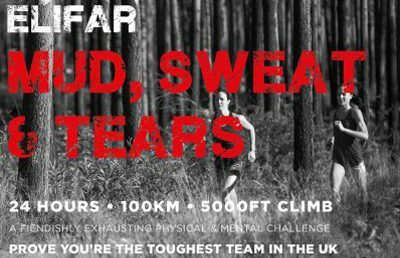 Martin’s Properties are proud to be taking part in the Mud, Sweat & Tears fundraiser on the 27th – 28th of July in aid of Elifar. A number of the Martin’s team including Tom Martin, Richard Bourne, Kim Stanton and Armanda Keith will be taking part in the 24 hour event along a 100km route along the South Downs Way national trail to the finish line at Winchester Cathedral. Mud, Sweat and Tears have been described as one of the toughest events one will ever take part in and will test teams to the limit. Martin’s Properties hope to prove to be amongst the toughest teams in the UK as they run, walk or even crawl to the finish line as fast as they can while encountering fiendish mental challenges along the route! The event is in aid of Elifar, a small charity which helps to improve the lives of children and adults with severe learning difficulty and associated physical disability. Elifar provides grants for a variety of items including electronic wheelchairs, specialised seating, eating aids, special beds and trikes, hoists, communication devices, sensory equipment and specialist holidays. The intense challenge of daily management at home usually means that a grant will enhance life for the rest of the family too. A large proportion of people with severe neurological disability are children and young adults; so the majority of the applications received by the charity are on behalf of the young. The trustees are all busy professional people and include a parent of two severely disabled children. Costs are kept to a minimum and the charity is run almost entirely by volunteers. The Elifar Foundation relies entirely on independent donations and fundraising and enjoys the support of many individuals and companies, particularly within the UK retail property industry. Martin’s Properties are delighted to be fundraising for Elifar and should you wish to donate to this fantastic cause please visit our Justgiving page through the link!